we in operational already, rendering servicing for our various clients across the country. 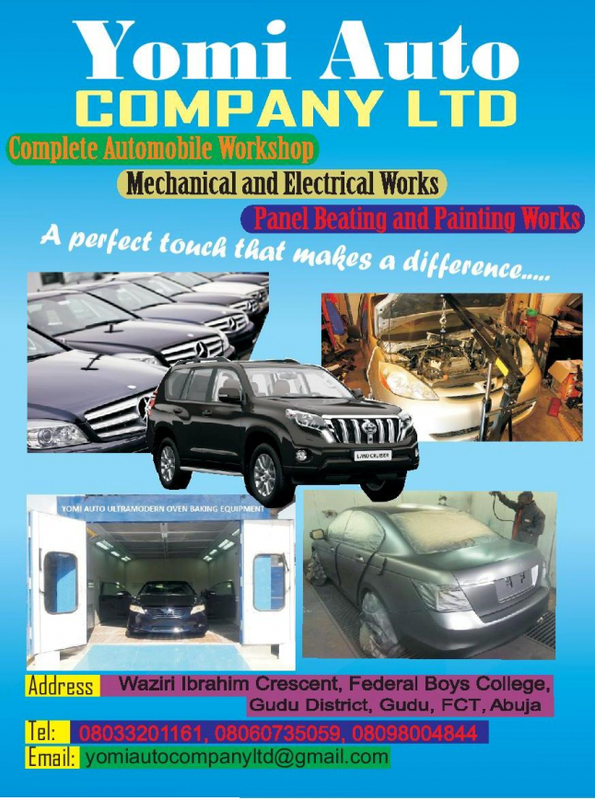 we are solving the problem of their various vehicle by the servicing we are rendering for the servicing of their vehicles. The advantage of our services are the experience engineers, also the update equipment in our workshop has made us incomparable with the road side workshop. One, we have clients who we try all means to keep, we also intend to make sure their problems is solve by paying attention to the complained from their various challenges from their vehicles. Our vision is to create a standard that will give us an edge over our competitors, to archive this we will make sure that the standard and quality of our service is stand out, in doing this our customers will be satisfy, and more revenue will come to the company. The risk in an automobile workshop is security, fire accident, stealing of parts, which have made all necessary arrangement to this regard.